Additional hours outside of these times are available upon request. Extra charges may apply. 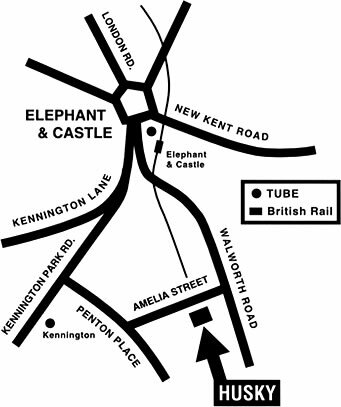 Husky Studios are located in Amelia Street off Walworth Road, Central London within a 5 minute walk of the Elephant and Castle where there are both mainline and underground train stations. Numerous bus routes run along the Walworth Road.